With the Tour de France fast approaching, the deals have been rolling in! There have also been loads of bike launches so we'll be keeping a close eye on last year's models. First, let's check out some of the mega sales! Fizik make some seriously lovely shoes with stiff carbon soles, supple uppers and classic Italian style. Sportful make the rest of your new outfit with clothing that the pros wear. You can view the rest of the sale here! These shoes are worn by a lot of pro riders and with good reason. The soles are the highest stiffness carbon fibre that Fizik use and when combined with the Boa dials, these give a secure base for maximal power transfer. The look of these shoes is also really nice. They are very simple and the uppers clean easily, keeping them fresh for longer. If you ride in hot temperatures and need extra ventilation, the R1 Knit is perfect. You get the same sole and fit as the above R1 Infinito but the upper is made from a strong knit fabric. That knit fabric won't stretch, so you still get great power transfer. This lightweight summer jersey is perfect for road riding in the warmer weather. The excellent wicking properties make this ideal for wearing when it gets hot as the fabric will take sweat away from the skin, leaving you comfortable. We also love the styling which is simple with great colours. Now isn't that a name the just sounds comfy! At the heart of these bibshorts is a really excellent chamois. The dense pad is up to 18mm thick in certain spots. That eliminates road buzz which we are finding more of on UK roads. The bib straps are really supportive and split for a better fit. That's a huge saving of £300 on this excellent hardshell bike box! The AeroTech Evo 3.0 is a seriously easy box to pack up with dedicated wheel storage and minimal disassembly required. The hard shell of the box is ideal if you're flying an expensive bike regularly on cheap airlines. The Thermoplastic ABS shell prevents a carbon frame from being damaged with the internal straps and padding also helping to keep everything in place. The hard case doesn't amount to too much weight though and at 12kg, this should easily clear most baggage allowances, allowing you to pack some cycling kit in the box too. You can also get a matching trolley bag for the ultimate travel setup. This will take care of the rest of your kit and clothing. It's possibly the most organised bag we've ever seen! Internally, there are specific compartments for your helmet, shoes and even sunnies. The whole thing rolls on 2 large wheels for easy transportation. 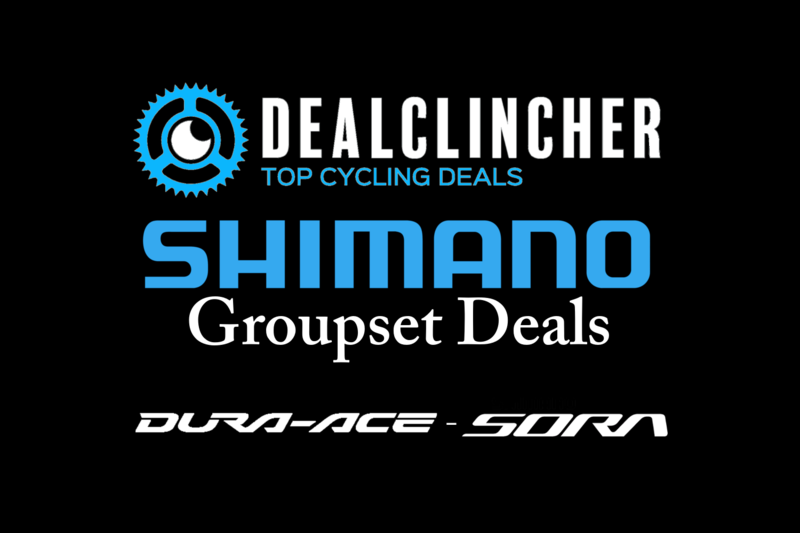 We've updated our massive roundup of all the Shimano Groupsets with the latest prices. The price of 105 has come down and we'll be keeping an eye out for deals on the new disc brake groupset! Every Thursday, Wiggle are releasing new feature deals. This week, it's Italian brands Castelli and Sidi, two of the best cycling kit companies ever. As per usual, we've picked out our favourite pieces, but to see the full sale, click here! These bibs are designed to be the club rider's favourite pair. They fit a wide range of body shapes and are supportive, giving great comfort over long days. The Kiss Air seatpad is a brilliant option for longer days and the leg grippers are way comfier than a silicone band. Again, this isn't Castelli's race-fit kit. The Prologo V jersey is perfect for all-day comfort. It fits close to the skin without restricting movement, making it perfect for normal bodies! We love the simple design and the range of colours. Sidi's Shot shoes are their top of the range racing shoes and therefore will be seen on the feet of their sponsored rider throughout the Tour. Chris Froome will now definitely be on the start line, but will he be wearing special yellow versions in Paris? The shoes are beautifully made with a super-stiff carbon sole for the ultimate amount of power transfer. The Wire used to be Sidi's top-end shoes, hence the massive price cut. If you don't mind having last year's shoes, then these are a brilliant pair for racing and fast riding. The Sidi Techno 3 dials are located on the external side of the shoe, making them easy to adjust while riding. The sole is again a super-stiff carbon piece. These Free Aero bibs are part of Castelli's race kit. The fabric is on the legs is dimpled for extra aero savings but the best feature for us is the Giro Air leg gripper. This spreads the pressure of the gripper over a large area, causing less discomfort, especially on longer days. An off the bike T-Shirt that only other cyclists will identify as a cycling T-Shirt. That allows us to pick each other out in public, and then chat bikes. Smart. Remember, to check out the full sale, click here! Power meters, chainrings and groupsets. It's all here! Merlin Cycles are having a rather large sale on one of our favourite component brands. The full sale includes 60 components, so we've picked out our favourites below. To see the rest of the sale, click here. This hydraulic disc groupset is providing the first real challenge to Shimano and Campagnolo in years. Rotor have worked with Magura on the hydraulics meaning that you're getting seriously good braking. Unlike the Shimano road groupsets, you get the option of flat-mount or post-mount callipers. The lack of maintenance associated with hydraulics is certainly appealing meaning that the shifting and breaking won't need much upkeep. Buying a power meter is a big investment. Many do it for training, but more people are buying them as accessories. Buying one that works in poor conditions is especially important for us in the UK! This Rotor 2InPower is perfect for our changeable conditions. You get independent left/right readings, easy integration with 5 blot chainrings and 250hours of battery life. Those chainrings can be these awesome aero chainrings! Ok, so the aero benefits might not be massive, but the solid profile gives the chainring more stiffness, improving shifting. This is the No-Q version, so you're getting a classic round ring. Huge 30% discount brings this amazing carbon bike down to just £1,599.99! Discount is applied at the basket and there is a full range of sizes available. This is one of the best deals we've seen. Vitus haven't cut any corners in the build. It's all quality kit. Firstly, the carbon frame is designed to offer brilliant handling while allowing an aggressive riding position. The components are also brilliant with Shimano's latest Ultegra R8000 groupset providing crisp, light and reliable shifting. Wheels are usually a price compromise, but Vitus have included the Mavic Ksyrium Elite WTS as stock. That's a brilliant wheel that can be used for general riding and racing. The Prime carbon seatpost keeps weight lower and the Ritchey finishing kit is spot-on in our eyes. At only £1099.99, this re-badged Ridley is a bargain carbon road bike. The bike gets an Ultegra R8000 groupset, making this an amazing amount of bike for the money. Merlin bikes have been going from strength to strength. They offer incredible value on new old stock Ridley frames. The fact that the framesets come from the Belgian manufacturer means that you're getting a high-quality frame at the fraction of the cost. The Cordite SL is a Ridley Helium ISP frameset. That means that the seatpost is part of the frame, making the bike super light! Around the rest of the bike, the finishing kit, brakes and wheelset are all from Forza, Ridley's in-house components brand. If you've been loving the splendid weather we've been having, maybe it's time to take the bike and experience some of this country's finest riding spots! The Yorkshire Dales and the New Forest are well known as fabulous places to ride a bike and Bikecation know some excellent hotels in the local area. Home to our favourite part of a Sunday roast, flat caps and beautiful rolling hills. 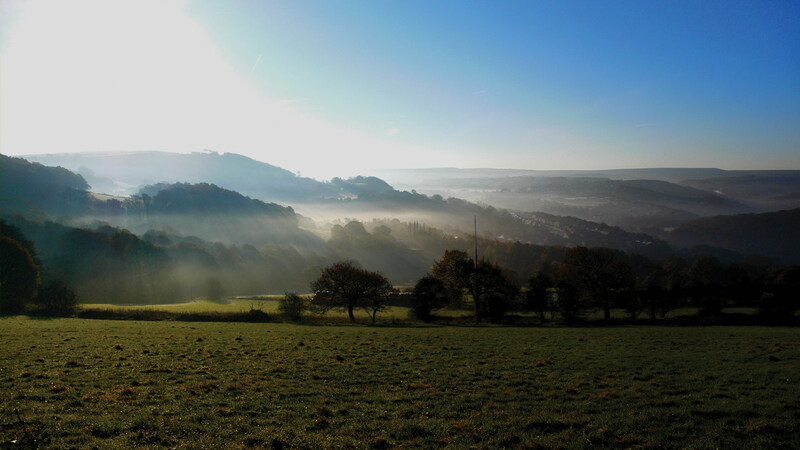 Yorkshire boasts many reasons to visit, but the primary one for us is the riding. Using the charming market town of Skipton as a base, you can ride climbs like Fleet Moss, Grinton Moor and the Col de Buttertubs, made famous when the Tour de France came to town. Riding around here can be challenging whatever the weather, but when the sun shines, there are few more beautiful places to ride a bike. 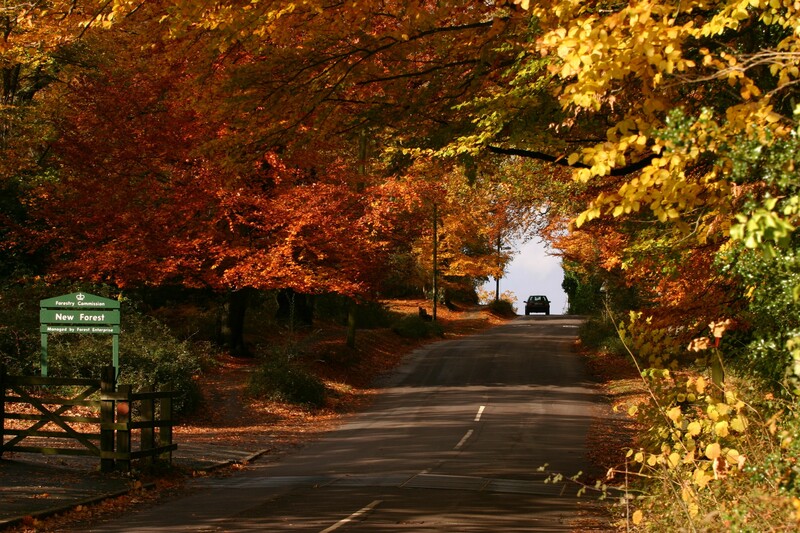 When someone mentions the New Forest, our minds are instantly thinking of quiet roads and endless MTB trails. It's certainly a place for every type of cycling and many abilities as well. The roads will take you through postcard villages and over rolling hills, though the terrain isn't too challenging. Heading off-road, you can discover well-maintained trails for beginners through to advanced riders. Great for a long weekend ride or a lightweight commute to work. Osprey are known for making great backpacks. This one gets space for an integrated 2.5L hydration bladder. If you're out on the trails and you need to refill, the asymmetric zipper allows for easy access. The magnetic attachment of the mouthpiece to the chest strap keeps everything in place while maintaining quick access. Elsewhere, the helmet attachment means it won't be bouncing into things when clipped to the bag. The pack is held securely by chest and waist straps. The waist strap gets 2 pockets for little essentials.